Moscow University has been recognized for pioneering work in education, technology and science. was granted to the University by Alexander I “for its great achievements in educating people to the well-being and needs of the service to the Government, for the maintenance, advancement and dissemination of knowledge and the language, We hereby express our solemn gratitude to the First Educational Institution in Russia, granting this Charter with such provisions and privileges as shall seem to Us suitable for education of the time”. to mark the 185th anniversary. to mark the 200th anniversary. to mark the 225th anniversary. This title is awarded for "service to the state and nation and in recognition of heroic acts". The researchers of MSU are doing remarkable work, and that excellence is recognized through a variety of award programmes. Each year, Moscow University features achievements in research, teaching, service, and scholarship. Faculty and staff are honored for their distinguished contributions for the betterment of the University’s community in several areas. Established in 1944 it is granted to individuals as well as research groups for promising research. Established in 1992 it is granted annually for exceptional achievements in education. Established in 1993 it is granted annually for prominent advances in science to young researches. 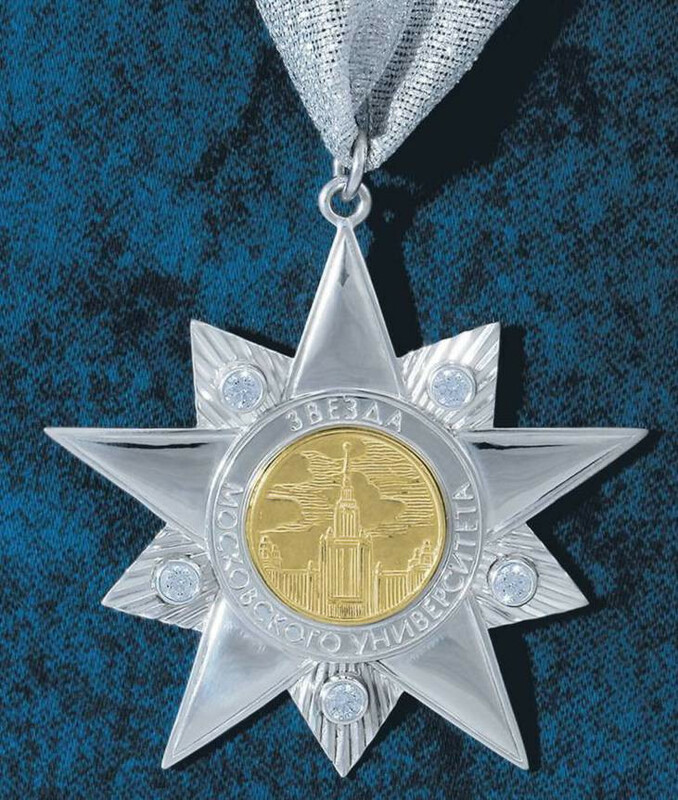 Established in 2005 to mark the 250th anniversary, it is granted to outstanding graduates of Moscow University as well as to scientists, statesmen, public figures for the role they play in developing the University’s science and education.